Batanta is the smallest of Raja Ampat’s 4 Kings, or main islands. However, this doesn’t mean its small. 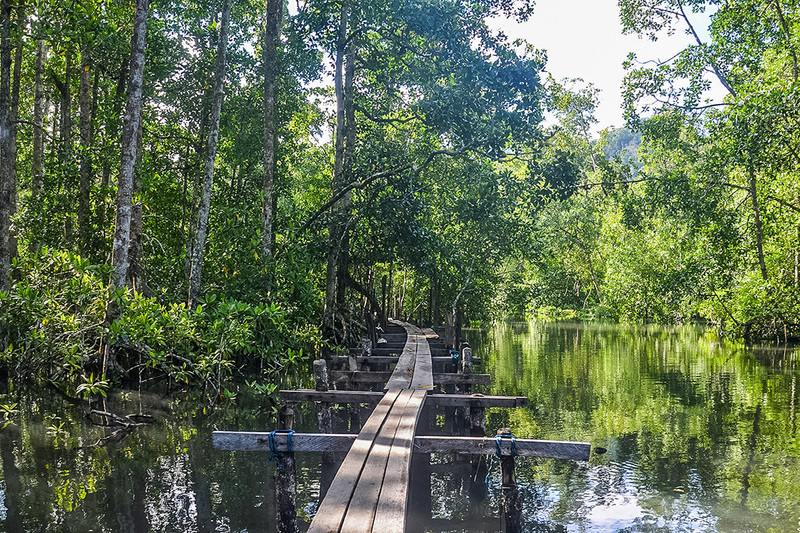 At 60km long and about 8km wide, there is plenty to explore on and around this lush island. 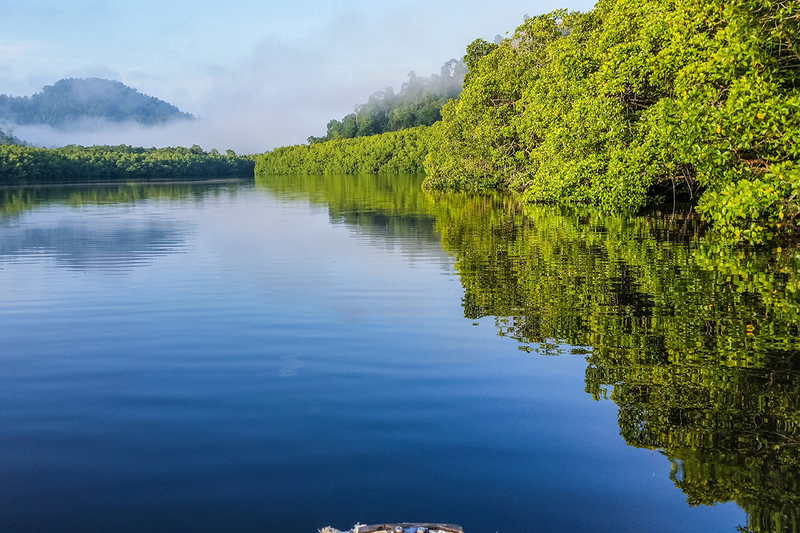 Read on to find out why Batanta is a must-visit island on your Raja Ampat adventures. Batanta is south of Waigeo across the strong currents of the Dampier Strait. It’s quite remote and has only a handful of villages. There is very little development on the island and just a few shops selling drinks and local snacks. This means it is suitable only for adventurous travelers to stay on. 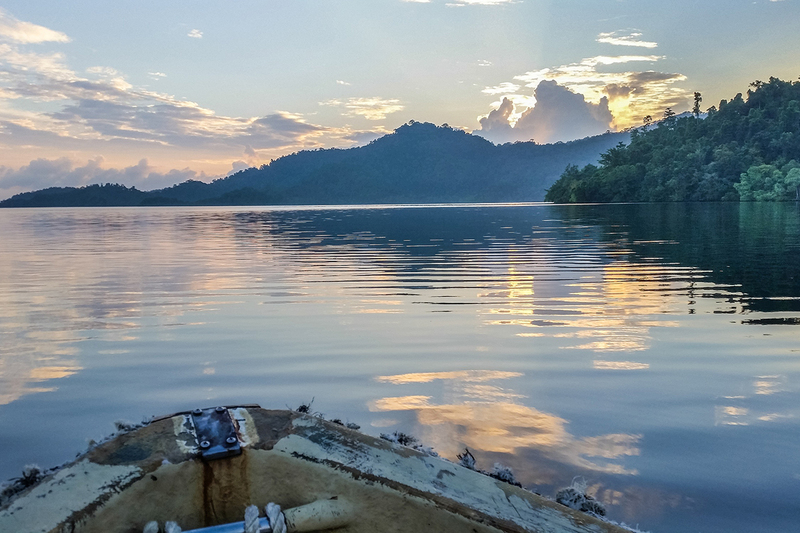 However, from Papua Paradise Eco Resort it’s only a 30-minute boat ride, so is great for day trips. Batanta is densely covered in lush rainforest with a central hill range rising up to 1184m at its highest point. This allows for cloud to settle and generate rain on a nearly daily basis feeding the rivers and waterfalls on the island. This natural beauty, which is also home to many spectacular species of wildlife is one of the main draws to the island. Trekking to the island’s powerful waterfalls is an especially popular attraction and Papua Paradise runs regular trekking tours. 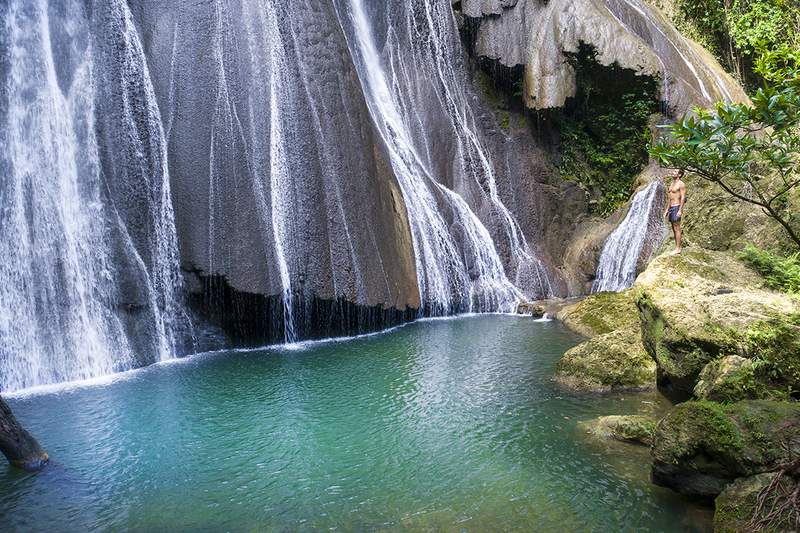 You can find out more about these tours here: Batanta Island Waterfall Tour. 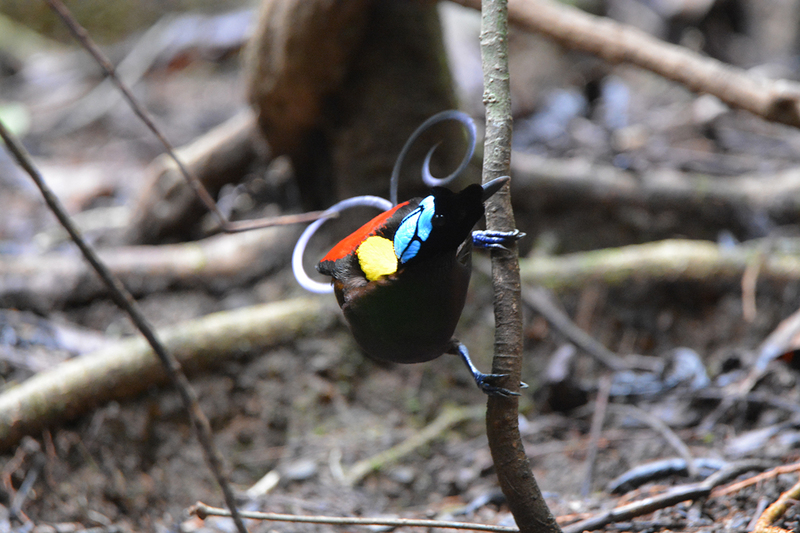 On treks through Batanta’s lush forest you will have the chance to look for some amazing animals. This ecosystem is home to the beautiful blue-spotted monitor lizard, 3 types of cuscus, Wilson’s Bird of Paradise, and an amazing variety of bats. Hornbills can also be seen coming in to roost in spectacular style on Hornbill Island just off the coast of Batanta’s mangroves. This is another trip you can take from Papua Paradise Eco Resort. Read about the tour here: Hornbill Island Sunset Cruise. Because Batanta is so large and so sparsely populated and there are so few homestays, the beaches are paradise. It’s possible to swim or snorkel in the quiet bays without seeing another human. You can also spend some time just relaxing on the pristine white sand under palms after bird watching or trekking. Batanta Island is also the perfect place to see some incredible marine life. The sheltered bays of the island’s north coast are a great place to spot rare dugongs. You may not see them in one day as they are very shy but you can also see pearl farming businesses that thrive here. The reefs around the coast of Batanta are incredibly rich and for the most part rarely visited by liveaboards or dive groups. However, the southwest coast of the island is known for its calm black sand bays and critters. 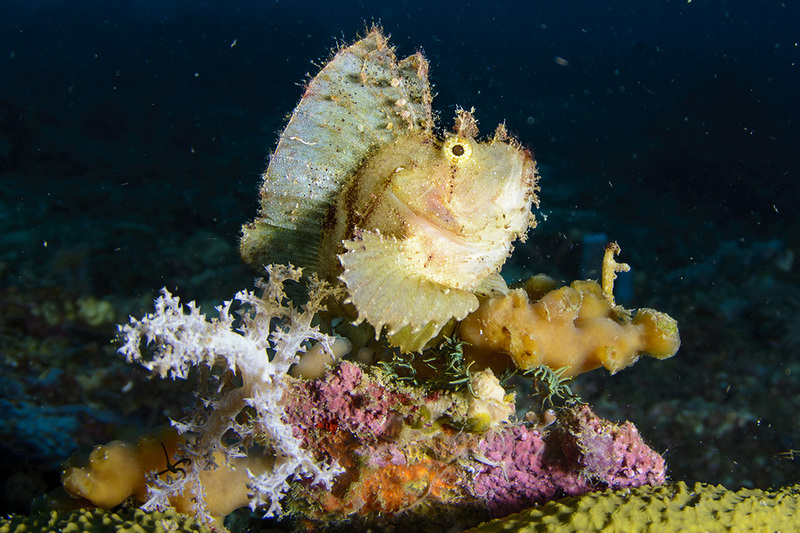 If you love muck diving and macro photography, there is no better place in Raja Ampat. Have you put Batanta Island on your itinerary yet? If you didn’t have Batanta on your Raja Ampat itinerary yet, we hope you do now. 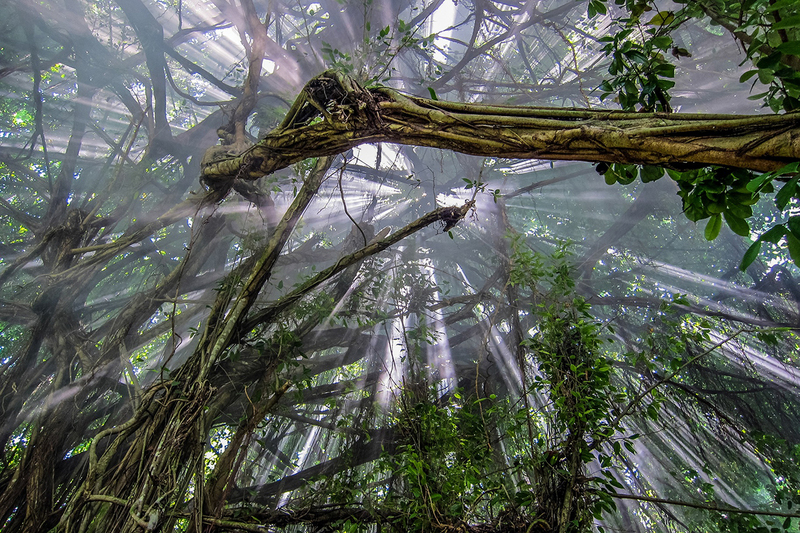 The natural beauty has to be seen to be believed, and photography enthusiasts will be in heaven. We’d love to know what part of Batanta Island most appeals to you so leave us a comment!